These bagels are Moe's favourite. 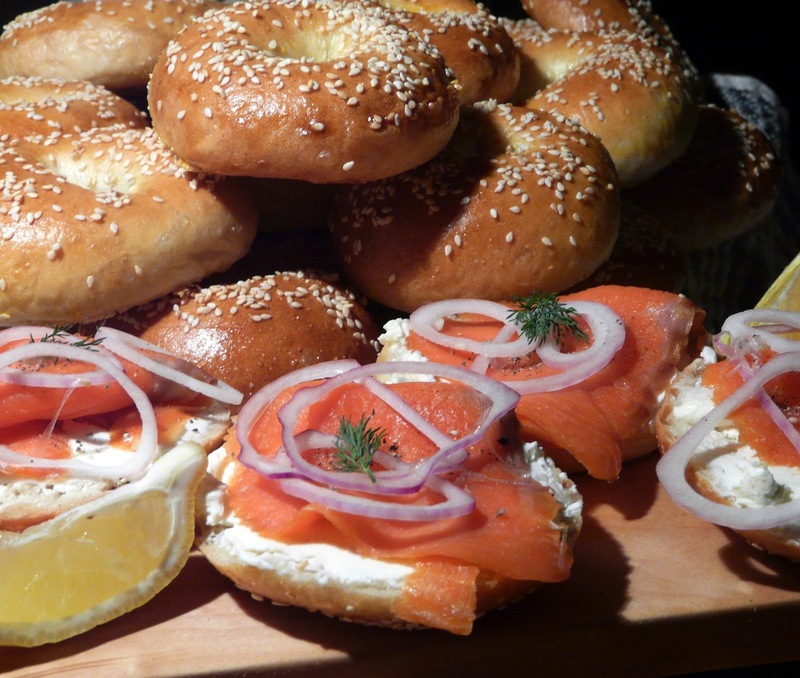 bagels with smoked salmon and cream cheese. 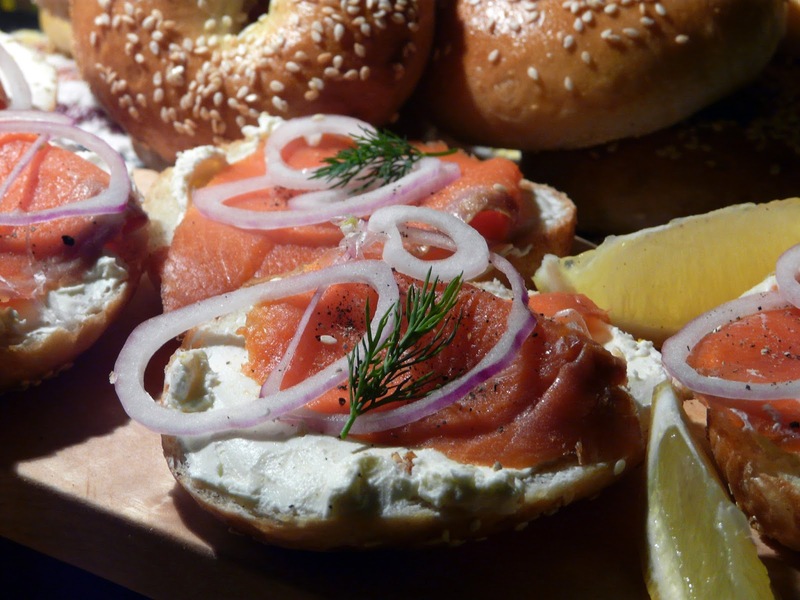 Bagels are easy to make. NOTE: I now make this recipe by hand using the stretch and fold method. I have typed it exactly how the recipe is printed in the book. If you have a bread machine or kitchenaide by all means use it to do most of the kneading. I always like to finish the kneading by hand. 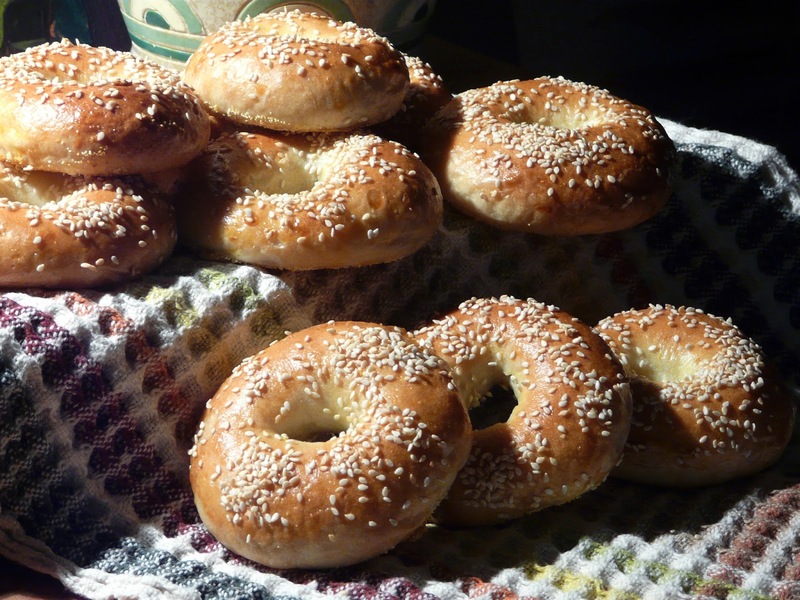 You can also make these in to normal size bagels. I have used this recipe for over 20 years. I have tried other recipes but this is my favourite one. I also make a Sourdough version of this recipe. a spoon, stir in about 1 1/4 cups more flour to make a stiff dough. sticking - dough should be firmer than for most other yeast breads. almost doubled ( about 40 minutes to 1 hour). log and cut into 16 equal pieces. until richly browned. cool on racks. shaping,) working with 1/3 at a time. Makes 48 cocktail size bagels. Mix together, cover and leave on the counter to develop overnight. Add Biga to above recipe using only 1 1/2 teaspoons of yeast. Reduce flour by 1 cup. before they were finished baking. These look fabulous (as your food and photos always do!) I can vouch for your bagel recipe, it is by FAR the best I've ever made. I think it's time to make them again! 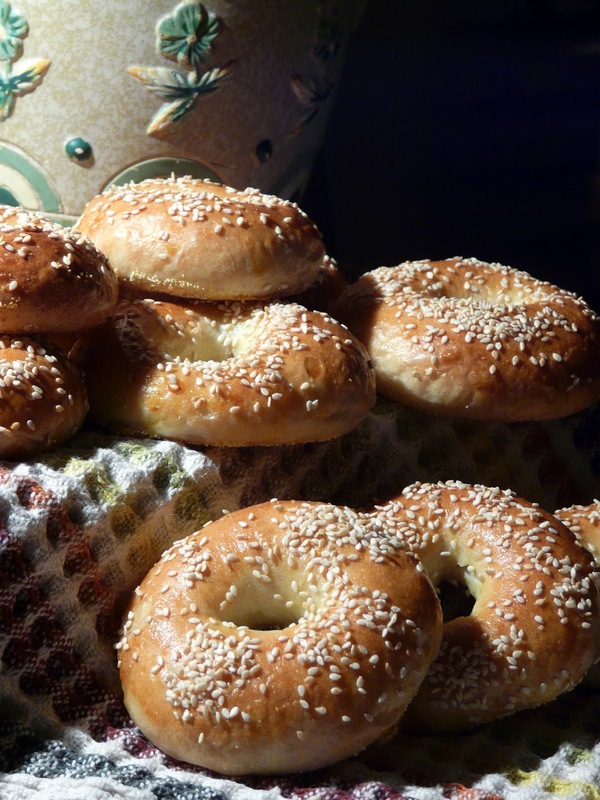 Since Bev is not a bagel fan, none likely to be made at our place but I would love to bite into yours just the way you topped them. I've always been frightened of making bagels...maybe I'll try! Monique, at least where you live you have access to the best bagels.